Michigan voters this November 6 will decide Proposal 1, whether to legalize and tax marijuana. The ballot initiative would legalize the purchase, possession, and use of marijuana and cannabis products by those age 21 or older. It would impose a 10 percent state tax, in addition to the 6 percent general sales tax, on sales. The ballot initiative also would authorize local governments to ban or restrict sales within their cities. The revenue (an estimated $100 million to $200 million per year) would be used for costs associated with administering the new law, with at least $20 million per year to be set aside for at least two years to study the efficacy of marijuana in preventing veteran suicides. 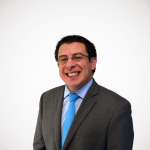 The remaining money will be divided up: 35 percent for K-12 education, 35 percent for road and bridge repair, 15 percent to municipalities in proportion to how many marijuana stores they have, and 15 percent to counties in proportion to how many marijuana stores they have. 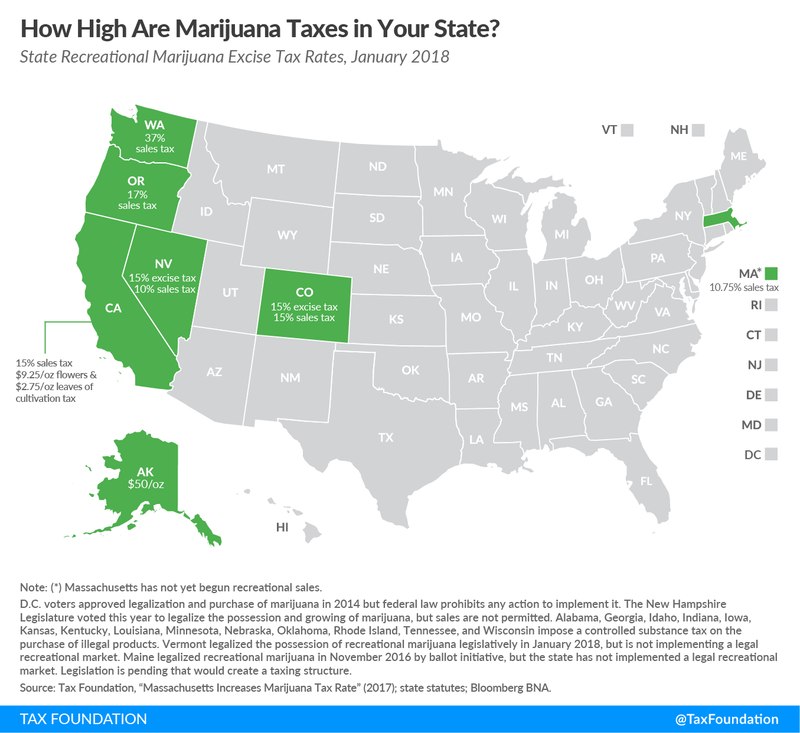 To date, nine states (Alaska, California, Colorado, Maine, Massachusetts, Nevada, Oregon, Vermont, and Washington) and the District of Columbia have legalized recreational marijuana, with excise tax rates ranging from 10.75 percent to 37 percent (see map below). Arizona and Ohio defeated legalization ballot initiatives; similar initiatives passed in all other states that have considered them in recent years. Ohio’s was defeated in large part because it would have set up a handful of state-protected monopolies, while Arizona’s had strong opposition from police and state trooper organizations. Neither appear to be obstacles in the Michigan initiative. Those who want high tax rates want them to generate desired revenue; those who want low tax rates want them to move purchase activity out of the black market and into the legal stores. While Michigan’s combined 16 percent excise-and-sales tax rate would be lower than other states if Proposal 1 passes (just under Massachusetts at 17 percent), it would be much higher than the 6 percent sales tax Michigan imposes on the sale of other goods, and lower than the state’s 12 percent tax on alcohol and 32 percent tax on tobacco products.